It’s winter time, and many of us catch the flu. 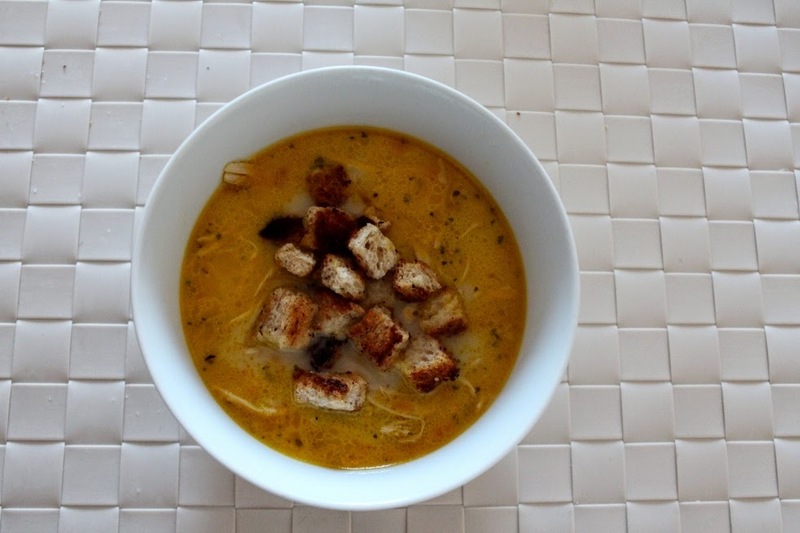 What can be better for lunch when you are feeling poorly than a chicken soup? 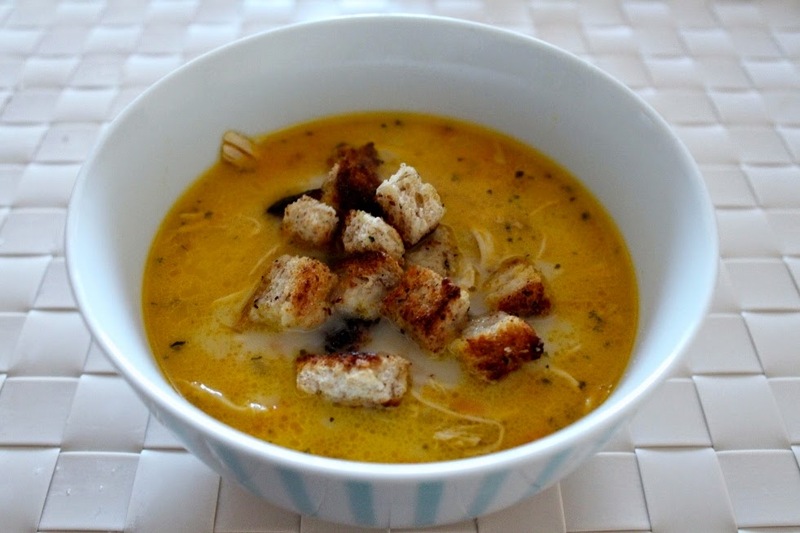 Chicken soup with a twist! 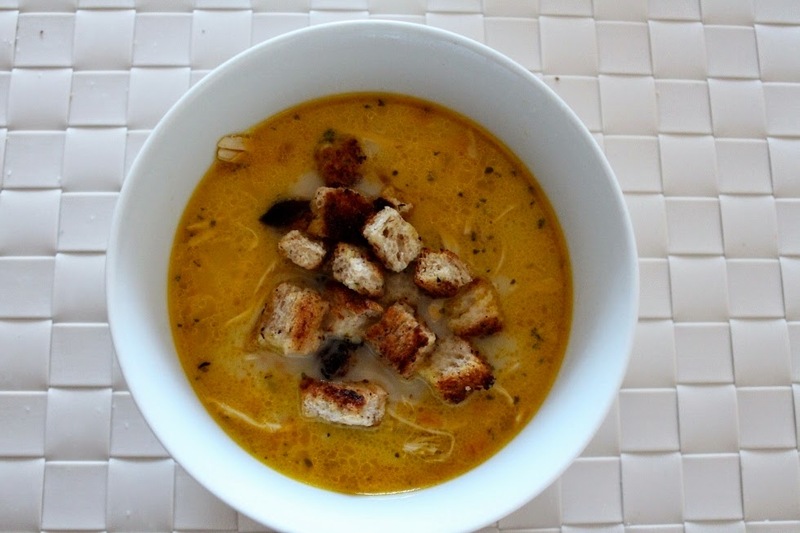 Cheese spread infused chicken soup with croutons. It takes around two hours, but it’s great if you are at home over the weekend. The actual cooking doesn’t take that much time, and you cook everything from scratch, including the stock! Just follow the steps below and enjoy the soup! Fill up a large boiling pan with cold water and place chicken thighs in. Add salt and bring to boil. Peel the onion and the carrot. Don’t throw the scraps away – add them to the pan for extra flavoured stock! Boil on medium for an hour. Remove the foam and fats and add extra water if needed. Meanwhile chop the onion and grate the carrot. Fry on medium heat with a drop of olive oil until golden. Then set aside. After an hour take the chicken out of the pan and set aside to cool down. Sift the rest of the stock so it doesn’t have any bits. Place back into the pan. 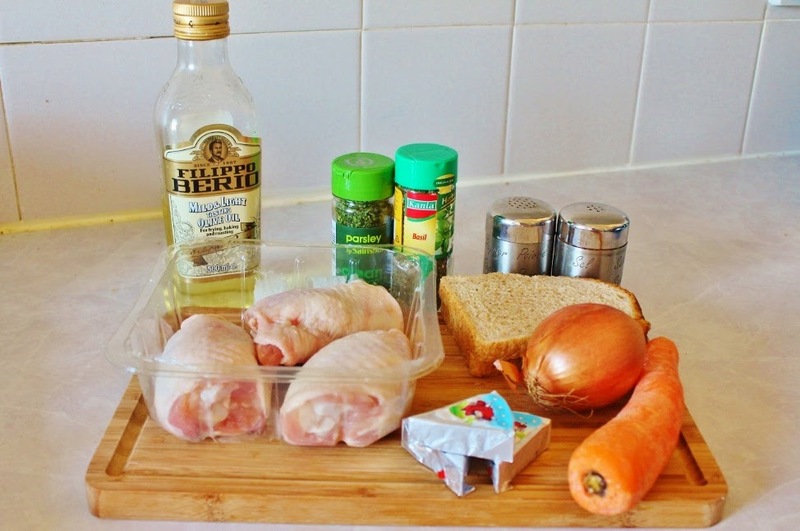 Take of chicken meat of the bones, shred it and place it back in the pan along with carrot and onion mix. If you want to add potatoes, peel, dice and place them in the pan. Sprinkle some pepper, parsley and basil. Boil for half an hour. 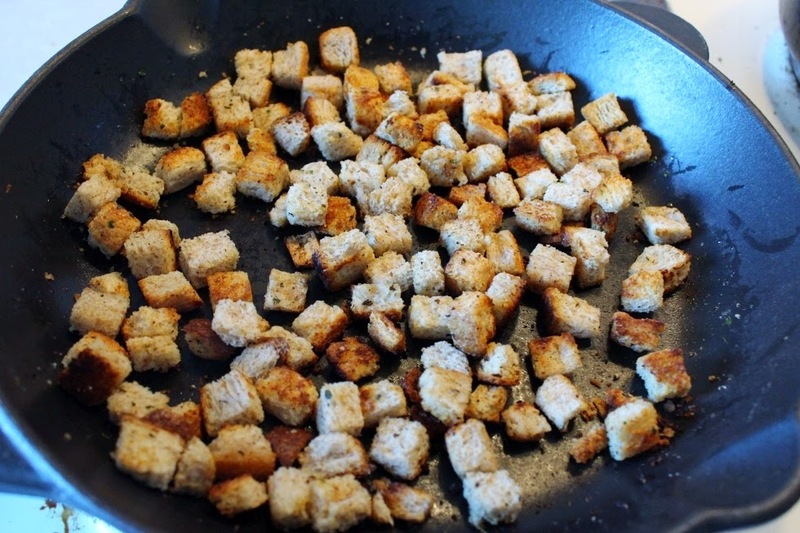 Spread a drop of olive oil on a frying pan (I prefer cast iron pan for toasting croutons). Dice the the bread and place in the pan. Sprinkle with a little bit of salt, pepper, parsley and basil. Toast on a low heat until golden and crispy. When the soup is ready, add the cheese spread triangles and boil on medium heat for a couple of minutes until melted.